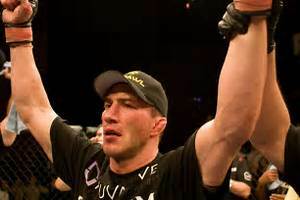 Stephan Bonnar, who earned a contract in the TUF finale, also won a unanimous decision, defeating Sam Hoger. In other bouts on Spike TV, Josh Koscheck defeated Pete Spratt with a rear naked choke at the 1:53 mark; Chris Leben beat Patrick Cote by split decision; and Mike Swick beat Gideon Ray by TKO in 22 seconds. Before the show went on the air, Drew Fickett beat Josh Neer with a rear naked choke in 95 seconds; and Kenny Florian beat Alex Karalexis when the doctor stopped the fight in Round 2.